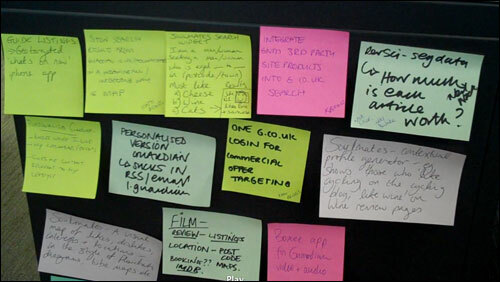 Last week The Guardian held a second internal hack day - codename #ghack2. Sadly due to presure of work, and my coding skills being rustier than ever, I didn't get to do a hack myself, but I did contribute a lightning talk, and spent most of the final session videoing the presentations from the front row, so I felt I chipped in a bit. 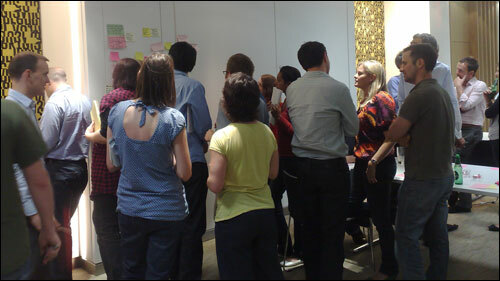 There was an excellent twist to the format with a 'Hack Day Social' on the Monday before. 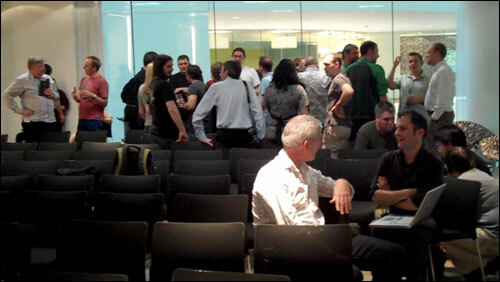 This was an afternoon session with free beer and nibbles where people were invited to submit ideas for hacks. It was a great chance for people from the design, editorial and commercial departments of The Guardian to put in some hack requests without having to brave the full-on hot-headed techie-driven day itself. 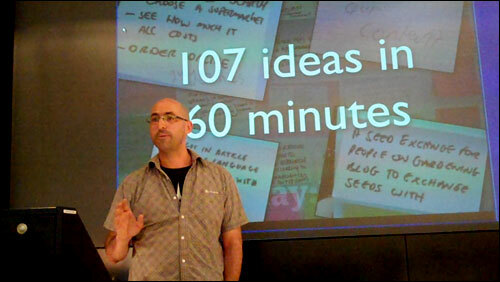 As Matt McAlister pointed out in his introductory talk, over 100 ideas were generated in an hour. To my personal shame the main highlights of the barcamp style introductions was learning the names of colleagues who I should have already known by name, but whom I had gone well past the point of being able to comfortably say "Sorry, I never caught your name properly". I think my favourite non-technical skills offered during the introduction round were 'spelling and punctuation', 'putting adverts on it', 'putting a joke in it' and 'knowing people'. The day started with a series of five minute lightning talks. Unfortunately I had other commitments in the building, and so could only stay just long enough to deliver my own talk about "Graceful Hacks". I did get to see Simon Rogers talking about the Datablog and Simon Jeffery talking about The Guardian's curation of a list of those who have died and disappeared during the recent unrest in Iran. 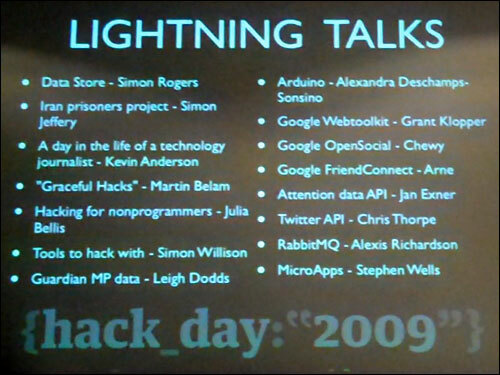 It was a real shame to have to miss the rest, particularly talks from Google and Alexandra Deschamps-Sonsino. Julia Bellis was talking about hacking for non-developers, and she has written her talk up for the Inside Guardian blog. For the first Guardian Hack Day, we used one entire floor of the Herbal Hill building, giving the day a bit of a bunker mentality. It must have been very intimidating to walk into the room. In Kings Place, however, we all work in open spaces, and so I think this meant it was much easier for non-technical members of staff to wander over and join in, or just poke their noses in to see what was happening. I thought it contributed to a very relaxed atmosphere around the Hack Day. As did beer and pizza. 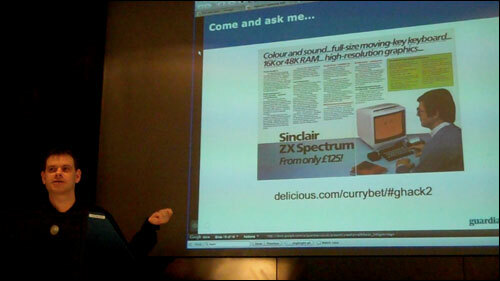 Tomorrow I'll have a round-up of some of my favourite hacks that emerged from the event. Martin Belam lightning talk - "8 Search APIs for Hack Days"
Martin Belam lightning talk - "Graceful Hacks"
By Martin Belam on 5 August 2009.